Doctor Thomas is very familiar with the Southwest Michigan and Northern Indiana area. He grew up in Michigan and attended Lakeshore High School in Stevensville. After graduation, he began his college career at the University of Nebraska-Lincoln with a pre-dental focus. After earning his Bachelors degree in Exercise Science, Bachelors of Science in Education, and Masters of Science degree in Nutrition, Dr. Thomas discovered his passion for orthodontics. In 2006, he returned to the University of Nebraska Medical Center, College of Dentistry to pursue his general dentistry education. 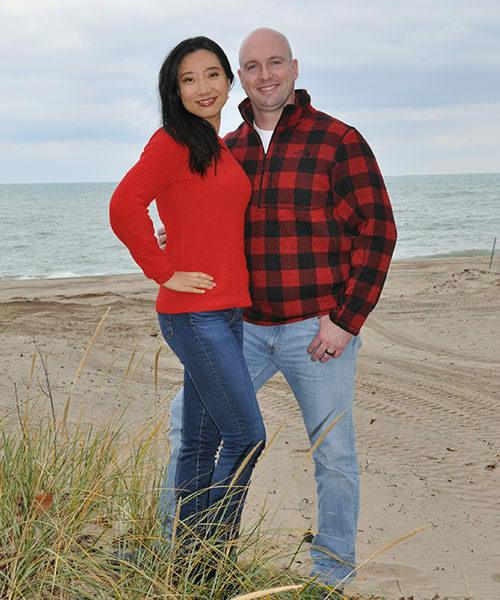 During dental school, Dr. Thomas met his wife, Cheryl, and they became married in 2010. After graduating and receiving his Doctor of Dental Surgery degree with distinction in 2011, Dr. Thomas received his Certificate in Orthodontics at the State University of New York at Buffalo in 2014. In 2015, Dr. Thomas became a Board Certified Orthodontist after successfully completing the requirements by the American Board of Orthodontics. His diverse background has influenced his approach to serving others through to his exceptional people skills and wide variety of experience. Dr. Thomas expresses his passion for orthodontics with his patients and staff by promoting a fun, caring, and “down to earth” atmosphere. However, he never compromises excellence, teamwork, and customer service. He believes in serving the entire person not just their teeth.